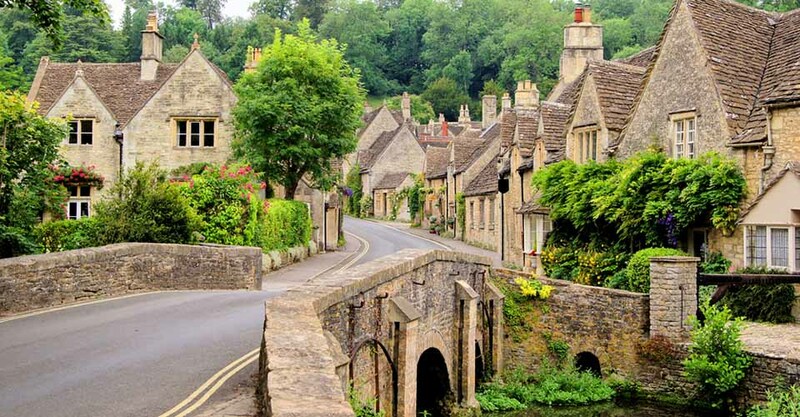 Wiltshire in South West England is a relaxed, civilised county that epitomises the look of classic English countryside. A good choice if you want to take some time out from your normal routine and get a change of scenery, you can do as much or as little as you like. Whether you are in the mood for a trip to a museum or gallery, a stately home, castle, or a wildlife park, there are lots of places you can visit to learn new things and drink in the countryside air. The ruins of Old Wardour Castle sit next to a tranquil lake near Tisbury. Unlike other historical attractions where you follow a set path and the experience is structured for you, Old Wardour feels more natural. The ruins are open for you to explore however you wish, so it’s a great choice if you want to combine the calming influence of nature with a touch of history. The site makes an ideal destination for a romantic walk. The woods that surround the castle ruins hide an 18th century stone grotto that looks like something out of a fairytale. If you climb the circular staircase in the East Tower, you will be rewarded with stunning views of the lake and the surrounding countryside. When it is time to pause for a break, you can refuel with some snacks and hot and cold drinks from the shop inside the main gates. If the sun is shining, there is also plenty of space to spread out a picnic blanket. If you are visiting on your own, you can still get a lot out of it. The quiet countryside location makes it a great place to think and gain inspiration, and if you want to learn more, you can listen to the free audio tour. Salisbury Plain is home to both Stonehenge and Avebury Stone Circles. Whilst experts have yet to agree upon the reason why Stonehenge was built, this just adds to the appeal of visiting it. When you arrive, what will strike you first is the sheer scale of it. Whatever the reason for its creation, the outcome is hugely impressive. There are several ways to get to Stonehenge. If the weather is good and you want to make a full day of it, there are walking and cycling routes which will take you the scenic way to the site. Or you can hop on the tour bus that runs directly from Salisbury train station to Stonehenge. Visits can be booked online in 30-minute time slots. It is best to book in advance to ensure entry to the site and avoid disappointment. 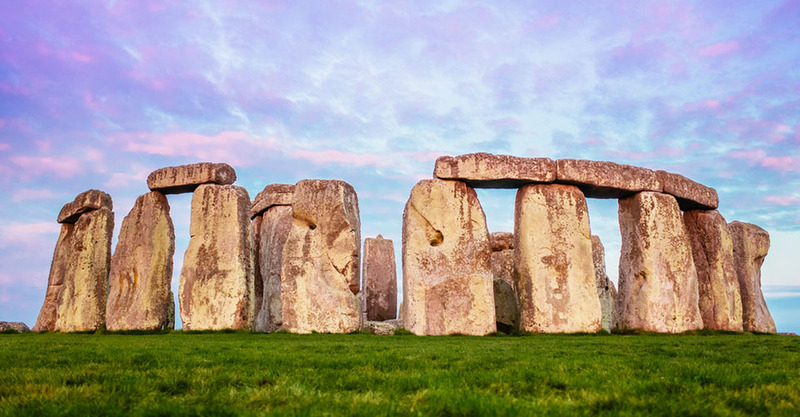 A free shuttle bus runs between Stonehenge and the Visitor Centre, so you can stop on the way back for a drink and a snack or take the opportunity to try a Stonehenge rock cake or a beer from the Stonehenge Brewery. Avebury Stone Circle is around 25 miles north of Stonehenge. Nearby is the Alexander Keiller Museum, which is a great place to start your visit. The Museum has both interactive exhibitions and archaeological displays which help to explain the history and significance of the site. 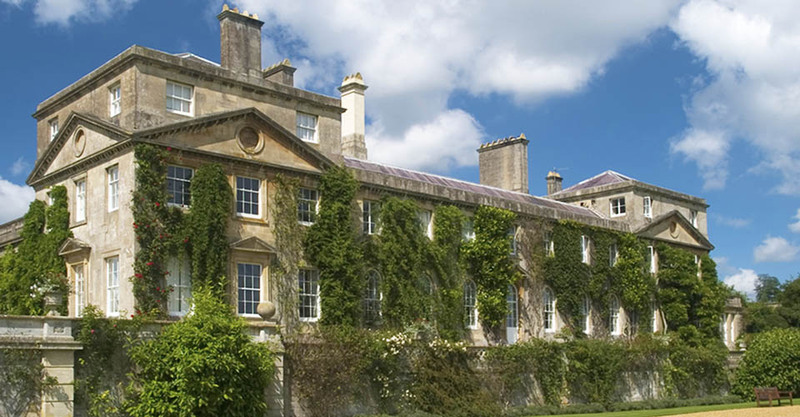 Bowood House in Calne has been passed down through the Lansdowne family since 1754, and over the years it has witnessed a lot of history. Bowood is furnished with artwork and antiques which help to paint a picture of its history. The Laboratory, which is now an ante-room to the Library, was where Dr Joseph Priestly discovered Oxygen in 1774. The Exhibition Rooms are filled with interesting historical artefacts such as Queen Victoria’s wedding chair and Napoleon’s death mask. It is not just the historical items inside Bowood House that make it unique. The gardens and grounds surrounding the house also help to tell its story. The parkland was designed by Lancelot ‘Capability’ Brown, renowned 18th century English Landscape Architect. His work was highly influential, having a large impact on what we now consider to be a traditional ‘English country garden’. Wilton House in Salisbury has been a family home for over 450 years. The house is decorated with 17th century interiors, and filled with paintings by Van Dyck, Pieter Brueghel, Rembrandt van Rijn, and Richard Wilson. The house is open to the public on select dates between April and September, so make sure you check the opening times before you visit. Wilton House has been used many times as a set for film, television, and photography. Both Sense & Sensibility and The Young Victoria used the house as a filming location, as did the television shows The Crown, and Blackadder. Recent clients also include Vogue and Jack Wills. The grounds sprawl across 22 acres of beautifully landscaped parkland, including a Japanese Water Garden and a Rose Garden, as well as an adventure playground for children to enjoy. The STEAM Museum of the Great Western Railway explores the impact of railways on the Industrial Revolution, and the achievements of the men and women who worked for the Great Western Railway. Areas of interest include the Picture Library and the Reference Library. The Picture Library displays black and white photos documenting the history of the Great Western Railway. The Reference Library, which is open by appointment, explores railway technology and the social impacts of the railway on the local area. If you fancy some lunch, you can head to the Platform One Café; which serves a range of food including toasted sandwiches, homemade cakes, speciality pies, pastries, and hot drinks. Originally built in 1880 for use as a grain mill, Fisherton Mill in Salisbury is now an independent art gallery with Artist Studios and a Café; making it a great place to visit to get creative ideas flowing. There are regular exhibitions featuring a wide range of media, from sculpture and jewellery, to ceramics and glasswork. Visit the Artist Studios to see the artists at work. If you need a boost, visit the Café, which serves light meals, drinks, and homemade cakes. If you love animals, or you are visiting Wiltshire with family or friends, there are several wildlife parks which make a fantastic day out. Cotswold Wildlife Park is home to all sorts of animals, from the ones you would expect (such as zebras, giraffes, lions, and rhinos), to animals that you may not have seen before outside of a screen (including reindeer, porcupines, wallabies, tapirs, wolverines, and giant anteaters). The park puts on regular seasonal events, as well as daily talks and events such as Penguin Feeding. If you are celebrating a special occasion, you can book one of the experience options, from Animal Encounters, to becoming a Keeper for a Day. Longleat Safari Park has a fantastic array of facilities, making it a popular choice for the subject of many educational television documentaries. You can choose how to explore the park- whether you’re brave enough to take on the Self-Drive Safari, or you prefer hopping on the Safari Bus to get a tour with commentary. Either way, the park is home to all sorts of beautiful animals, including wolves, red pandas, flamingos, gorillas, and tigers, so there is plenty to see. 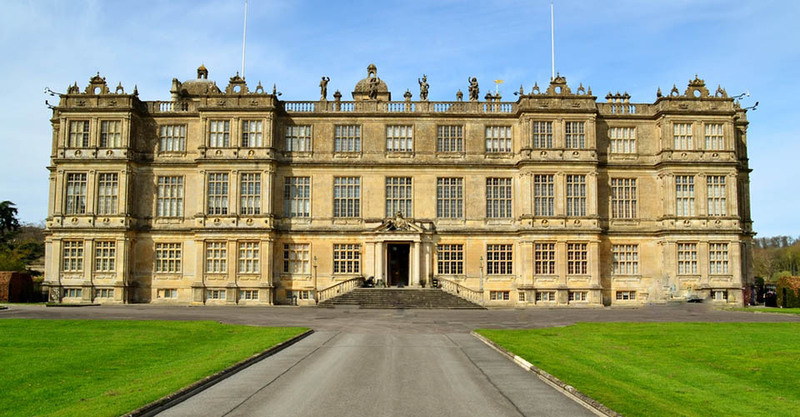 As well as the Safari, you can also tour Longleat House, which is a magnificent example of Elizabethan architecture. Inside, you will find collections of art, tapestries, and over 40,000 books. Aside from the Safari, it is easily worth dedicating a full day to visiting the house and exploring the formal gardens. When it comes to stopping for something to eat, there is a lot of choice, with an array of cafes and restaurants including The Cellar Café, Pizza Piazza, The Chameleon Tree Restaurant & Coffee House, The Watering Hole Café, and The Orangery. You will find yourself in a similar position as you are spoiled for choice with souvenir shops. Options include Lord Bath’s Olde Sweet Shoppe, African Traders, Nature’s Kingdom, Out of the Wild, Emma’s Kitchen, and Lady Bath’s Shop. So whether you are after a gift or something to remember your day by, you have a lot to choose from.